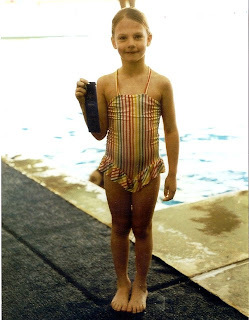 My very first coach, Bill Cant, just sent me a letter with a picture from my first diving meet. Don't you love the ruffle? Hey-from your biggest Nebraska fans!! CONGRATULATIONS!!! We've been praying for you! You'll do great in Beijing. Thanks for the GO NANCILEA t-shirts. We've been showing them to everyone. Congrats on going to Beijing!!!! We have been following your progress all year and were very excited that you dove so well in Tennessee! Best wishes and enjoy every minute! I got to watch our friend Mark Lenzi compete in Atlanta and it was wonderful!